I write on my photographs so that I can show not only what I saw and my camera recorded, but some of my intertwining memories, speculations and regrets--all real, but unseen. In this series--inspired by three visits to Great Cranberry Island, one of 14 unbridged island communities in Maine--I explore a remote island environment and my reactions to it. 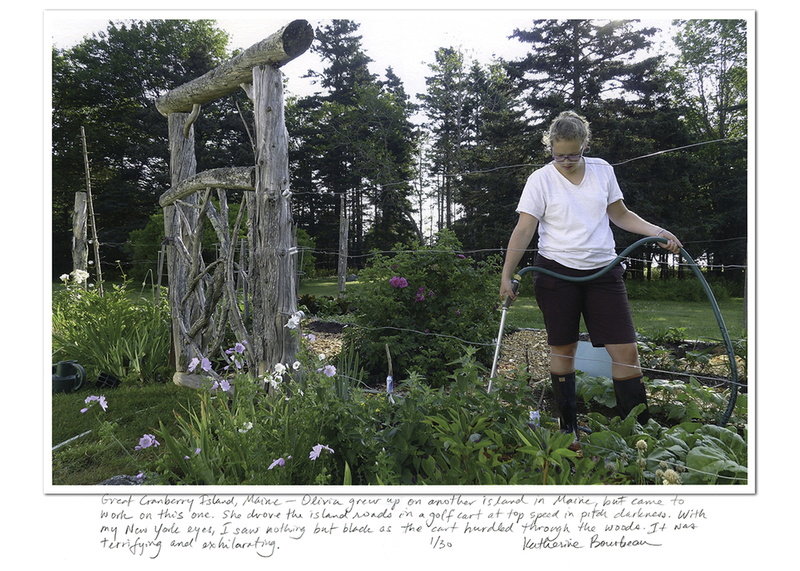 Each photograph with handwriting is an archival giclée print, produced in a series of 30 with a unique, varying handwritten caption. The prints are matted in archival 8-ply museum board with an overall dimension of 16x20 inches. All Photographs and Text © 2019 Katherine Bourbeau. All Rights Reserved.